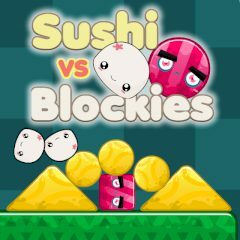 Help the Blockies to survive during a hard attack of Sushis! Build strong constructions which will be able to protect you! The faster you do it, the more points you will earn.